Our international Family Programs are open to individual adults 18 years or older and to families. Programs are hosted in Baja, Mexico at a small resort situated between the towns of La Ventana and El Sargento. 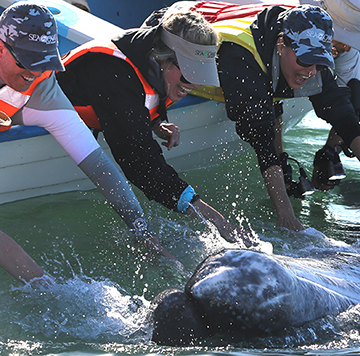 It is about 35 minutes southeast of La Paz, on the Baja Peninsula in Mexico. The resort is owned and operated by a former SEACAMP San Diego employee and is just 8 ½ miles by boat from the island of Cerralvo, which has great diving and snorkeling.